G.I. Joe Retaliation 3D is the third movie this year, alongside Olympus Has Fallen and White House Down, to depict an overthrow of the White House by terrorists, with a forgotten hero the only one that can save the day. While the other two R rated films are taking a semi-realistic approach to the material, this action sequel from director Jon M. Chu is aimed squarely at adolescent boys and adheres to a comic book aesthetic that stays true to its roots in animated after school programming and the toys upon which it is based. 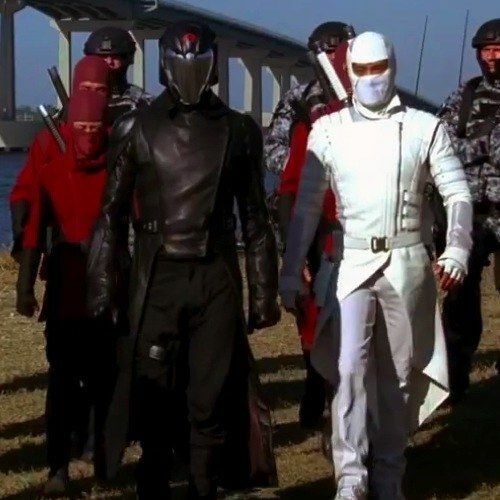 Two new TV spots have arrived containing never-before-seen shots of Cobra Commander and his crew, and these scenes look excavated from the coolest 80s movie to never exist. Which is exactly what older fans that grew up with the franchise want. Watch as C.O.B.R.A. kidnaps a president that isn't Jamie Foxx or Aaron Eckhart, with all-new footage that is sure to get you excited!